The DC streaming service–DC Universe, set to launch later this year via Warner Bros. is developing a live action series based on the monstrous botanical entity known as Swamp Thing. James Wan, the director behind The Conjuring and Insidious films and founder of Atomic Monster Productions, will serve as an executive producer alongside Michael Clear (the head of Atomic Monster). Rob Hackett, Vice President of Atomic Monster, will serve as a co-producer. Mark Verheiden (Ash vs Evil Dead writer), and Gary Dauberman (It co-writer) penned the script and will also serve as executive producers. Swamp Thing, is the latest to join the DC Universe streaming service which includes a plethora of original content, including: Titans, Young Justice: Outsiders, Metropolis, and Harley Quinn: The Animated Series. If the streaming service is a success (If… Ha!) we could be seeing an expanse of DC comics related content. 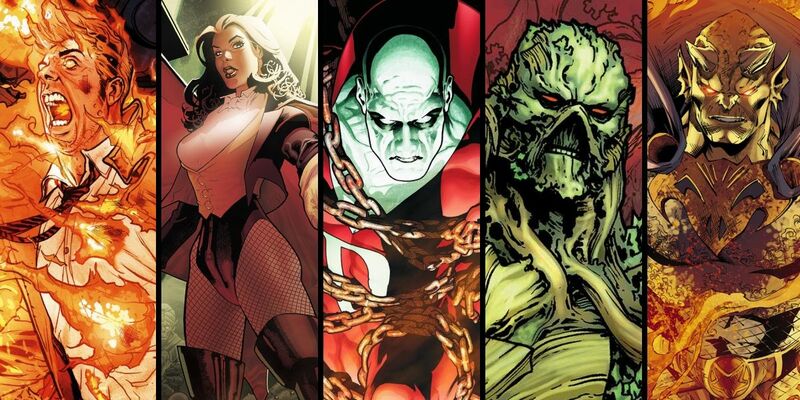 Including, the possibility of a Swamp Thing spin off: Justice League Dark (I could die happy if this comes to fruition) a horror/fantasy/superhero series, starring the loveliest bunch of underrated bad asses: John Constantine, Zatanna, Swamp Thing, Deadman, Frankenstein, and Etrigan the Demon to name a few. Swamp Thing is set to premiere 2019 on the DC Universe streaming service.